SFIG is accepting nominations for its Board of Directors in anticipation of the June 2019 Board rotations. Eligibility for a position on the SFIG Board of Directors is limited to individuals employed by SFIG's primary members. Members may nominate themselves or another qualified industry participant. View SFIG Board Member responsibilities here . SFIG's Nominating Committee will review nomination submissions, research and vet candidates, and make recommendations to the current Board of Directors for approval. The Nominating Committee is dedicated to selecting a balanced Board of Directors that is reflective of the membership and the industry at large, and is committed to advancing the principles of SFIG. Board of Director terms are for two years. Nominations for the Board of Directors will be accepted until COB today, April 12 . Click here to submit your nominations . Please note that the nomination form is open to registered members only. If you have any questions or require any clarification around the nominating process, please email info@sfindustry.org . On Wednesday, April 10, the CEOs of Citigroup, JPMorgan Chase, MorganStanley, Bank of America, State Street, Bank of New York Mellon, and Goldman Sachs testified for the first time as a group in front of the House Financial Services Committee since the 2008 Financial Crisis, according to The Washington Post . Lawmakers focused their questioning on the diversity of their companies' workforces, overdraft policies, and the efforts they’ve made to help distressed borrowers. In their written testimonies, CEOs stated that they believe the financial system is less risky and more tightly regulated than it was before the crisis. On Tuesday, April 9, the House Financial Services Committee on Financial Services held a full Committee hearing with U.S. Treasury Secretary Steven Mnuchin entitled, “ The Annual Testimony of the Secretary of the Treasury on the State of the International Financial System ,” to discuss the key priorities of the Treasury Department. Rep. Blaine Luetkemeyer (R-MO) raised concerns over the impact of the Current Expected Credit Loss (CECL) methodology and suggested that the Government Sponsored Enterprises (GSEs) will have to raise guarantee fees to increase their reserves under CECL. Mnuchin responded the Federal Stability Oversight Council (FSOC) is closely studying the issue and is hopeful about the prospects of passing GSE reform. Federal Reserve (Fed) officials voted 4-1 to seek comments on a proposed framework that would significantly impact how foreign banks are regulated in the United States. Specifically, the Fed’s regulations would boost overall liquidity requirements of foreign banks by four percent and would loosen how many “living wills” foreign banks would have to submit each 3-year cycle. If approved, these regulations would closely match the regulations placed on domestic banks. Fed Governor Brainard opposed the decision arguing that it would weaken safeguards placed after the 2008 Financial Crisis, according to Bloomberg . Securitizations of non-qualified mortgage securitizations totaled $5.7 billion in the first quarter of this year, equaling half of 2018’s total volume, making it the most active quarter since before the crisis. With such strong performance, some estimates for non-QM securitizations in 2019 have been readjusted to reach as high as $20 billion. 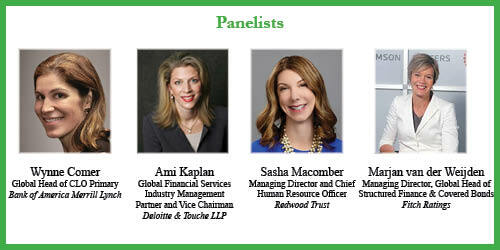 SFIG’s Women in Securitization (WiS) Steering Committee is hosting its Spring Event on Tuesday, May 14 . 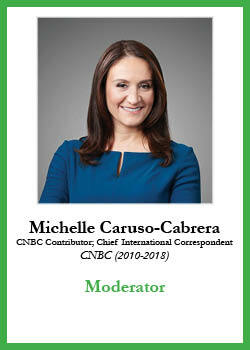 Join moderator Michelle Caruso-Cabrera , CNBC Contributor and Chief International Correspondent, as she discusses “ Insights on Advancing Your Career in a Male-Dominated Industry ” with a group of esteemed panelists. View the SFIG Canada 2019 agen da by clicking here . Register today to secure your spot at the event . View sponsorship opportunities here .